Payal Kapadia's Wisha Wozzariter won the Crossword Book Award for Children's Writing in 2013. I read about that book in "101 Indian Children's Books We Love" by Young Zubaan and enjoyed it so much that I not only reviewed it but also interviewed the author for Saffron Tree before the Award was announced. 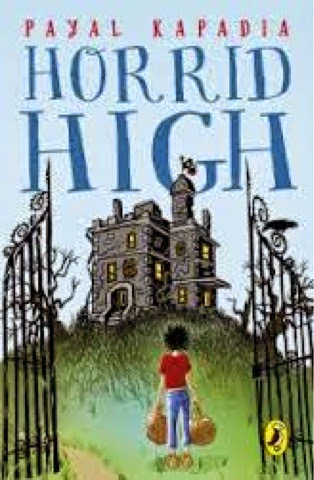 When Ms. Kapadia sent me a review copy of her latest book, Horrid High, I was a little nervous. Having loved her "debut novella" Wisha and shared my enthusiasm exuberantly, I was unsure of how the author could match the expectations she herself had set of her readers. But, I need not have worried. Ms Kapadia is a true gem. India has few authors who have such mastery to engage readers in the 10+ age group. Described on the jacket as "A riotous, rambunctious adventure in the world's most horrid school", this 311page long Puffin book is truly enjoyable from beginning to end! In the author's own words, as expressed in the acknowledgements, "it explores the limits of horridness"! In other reviews, I have often lamented the need for better editing in most Indian books for children. Even our most popular writers seem to lose steam around midway, after having a wonderful start and unfortunately leaving the reader disinterested towards the end. I have to say - Payal did not let her readers down! Children love Roald Dahl books because he was so good at bringing mean characters to life. Almost each of his book had multiple characters whose horridness children even today delight in. Similarly, Horrid High is full of people who are nasty beyond belief. So, parents of sensitive children will have to explain that the book is purely for entertainment lest they worry too much. Luckily, the humour overtakes the sadness, pretty early in the game! Except for the "boys don't cry" stereotype that could easily have been avoided and a very Punjabi sounding comment by a central character towards the end, I did not find anything objectionable in the book. Payal Kapadia continues to name her protagonists (from her previous book) in very creative ways. Once again, the plot is universal - it could be set in any country, any where. In addition, there were a handful of "purely"'Indian names, this time. Details related to children, their anxieties, adults with their pet peeves, foods and places were extremely well researched, giving the plot an extremely authentic feel. Each chapter was linked so beautifully to the previous and next that I see this book serving as a textbook for aspiring writers - the layering, the attention to detail, the element of surprise ...... All had a place and a time, so to say. Without getting into the story, I do wish to share that while it is very un Enid Blyton like, despite the backdrop of a boarding school, many "mysteries" do get solved as friendships develop. Readers are sure to get the message of strength from this book. While it is all fiction, the author has talked about human nature without getting philosophical. So, no challenge is a deterrence if we set to solve our problems. The illustrations, again by Roger Dahl, support the text well. The faithful mouse shows up in every frame and the expressions of children and adults have been captured rather well! 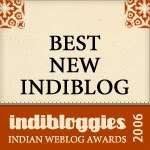 Thank you Puffin for showing the world what talented authors we in India are lucky to have! !